You are here: Home / Uncategorized / Booth space available! We have booth spaces open in our gallery! 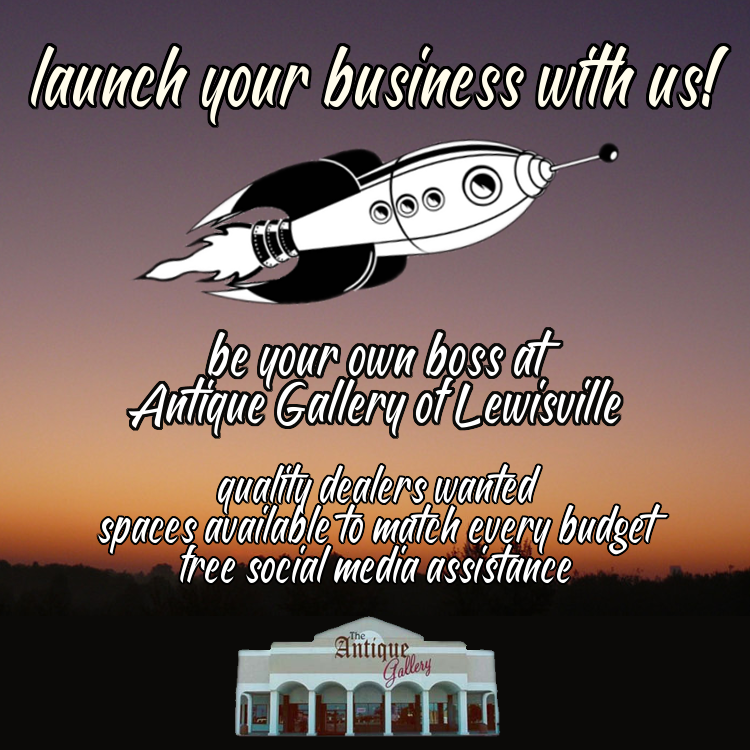 Give your business a kick start by selling with us and our 100+ dealer family. Be your own boss and turn your hobby into a money-making passion. Call the gallery at 972.219.0474 or visit us to see the available spaces in person. Also, check out our Facebook and Instagram to see what dealers are currently selling. We update daily and charge no fees for this advertising! Our associates are happy to answer any questions you have. We look forward to your visit!